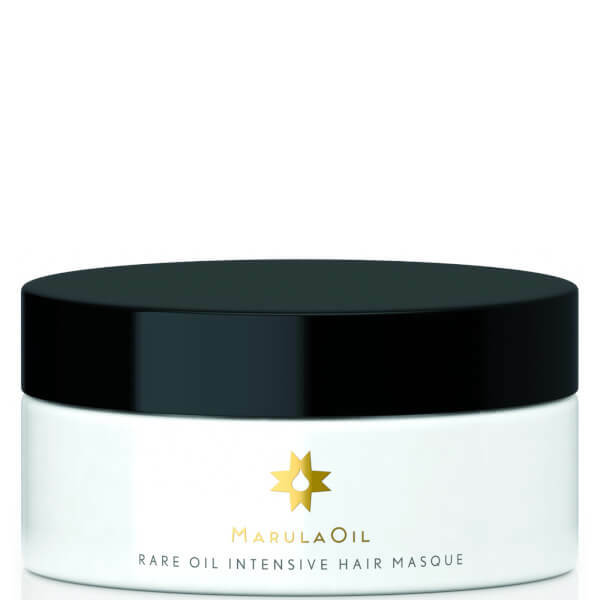 Achieve sleek, salon-worthy locks with the Marula Rare Oil Intensive Hair Masque from Paul Mitchell. 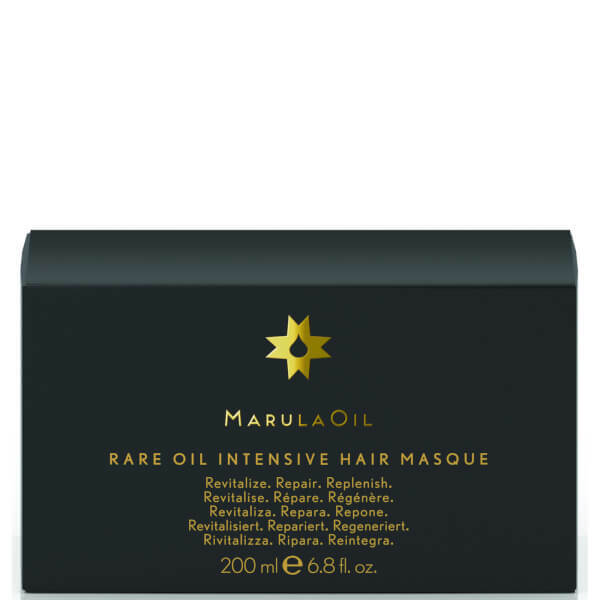 The unique formula utilises time-release Marula Spheres, which adhere to the hair shaft and break open every time you brush or touch your hair for a fresh burst of Marula throughout the day. Fortified with cold-pressed Marula Oil (a precious natural ingredient packed with antioxidants, vitamins and protein), the revitalising treatment smooths dry, coarse hair, whilst adding fullness and body to fine, limp locks in need of volume. The nourishing and repairing mask helps to seal split ends and defend against future damage. Notes of Lemon, juicy Orange and Pear are blended with delicate Rose, Lily of the Valley and White Musk to create an exotic floral fragrance. Wash with shampoo, rinse, then gently towel dry. Apply masque to hair and comb through. Leave on 3-5 minutes, then rinse and style as desired. For extra hydration, leave on for 10-15 minutes. Heat may be used for deeper penetration.